If singalongability was a word, Dashboard would score off the charts for its singalongability. 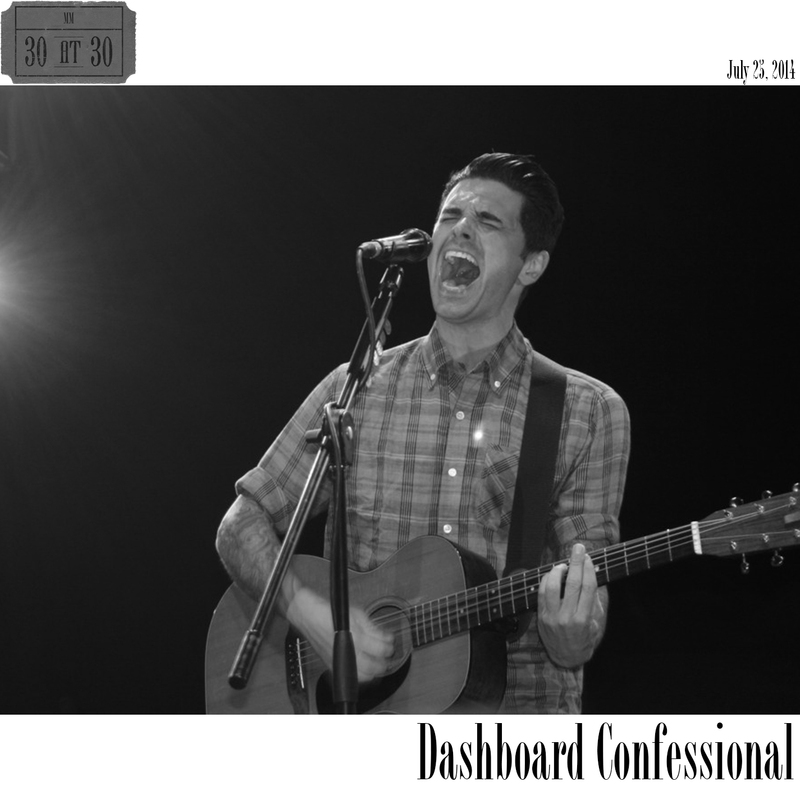 Dashboard Confessional songs encourage—even demand—audience participation. Falling into that often mocked and parodied genre known as “emo”, Dashboard’s lyrics are expressive, emotional, and, predictably, often confessional with a heavy focus on romantic relationships. If you want a sense of how emotionally invested Dashboard Confessional’s fans were/are in the band’s lyrics, check out the MTV Unplugged performance. Dashboard’s music itself is pretty straightforward, but the messages of the songs hit on universal themes and relatable experiences that made teens like me latch on. Nowadays when I hear any of the Dashboard songs listed below, I’m instantly transported back to a different place and time in my life. The memories are a powerful cocktail of heartbreak and happiness, new possibilities and missed opportunities. and I’d like to see you undone. Youth’s the most unfaithful mistress. Still we forge ahead to miss her. It’s cool to take these chances. In 2004, Dashboard recorded “Vindicated” for the Spider-Man 2 movie, but it was that song’s B-side, “Warmth of the Sand,” that made the compilation album for me. It’s a fun, light summer tune. Speaking of summer, in 2006, Dashboard Confessional released Dusk and Summer, which landed four tracks on my compilation. In addition to the title track, I really like “Don’t Wait,” “Heaven Here” and the piano-driven “So Long, So Long,” which features Counting Crows frontman Adam Duritz on background vocals. In 2007, Dashboard released its fifth studio album, The Shade of Poison Trees. The album was somewhat of a return to the band’s roots with more of an acoustic focus and less heavy production. “The Rush” is the only track from this album that made the cut. Similarly, only one song made it from 2009’s Alter the Ending, which is the last album Dashboard released. The album was released in two formats with a regular electric version and a deluxe version that featured acoustic versions of all 12 tracks. Personally, I prefer the acoustic versions because they sound more reminiscent of the original Dashboard sound whereas the electric versions sometimes seem overproduced. “Get Me Right” (Acoustic) was the lone track from the album to make it onto my compilation. From the opening of “So Impossible” to the closing of “So Long, So Long,” this Dashboard compilation is a cathartic trip down memory lane. The band’s name comes from a song lyric about confessing while driving alone in the car (aka a “dashboard confessional”). If you were a teen in the early or mid-2000s, your specific list of most meaningful Dashboard Confessional songs might differ, but your Dashboard Confessional experience was likely largely the same.